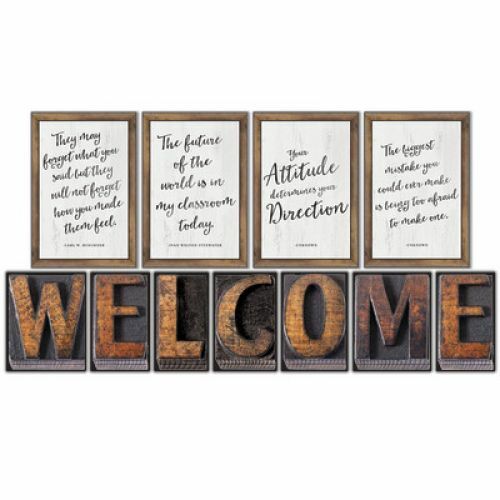 Help all guests feel welcome in your classroom with this inviting classroom décor. 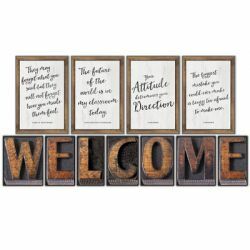 Create a welcoming classroom with the 11-piece Industrial Chic Welcome bulletin board set. This bulletin board display includes 7 letters and 4 inspirational posters to help students and visitors feel at home.